What is the origin of the Petit Basset Griffon Vendeen? That’s quite a name for a small dog to carry. This French breed’s name means small – Petit, low to the ground – Basset, rough or wire-coated – Griffon. Vendeen is the area on the west coast of France where the breed originated. 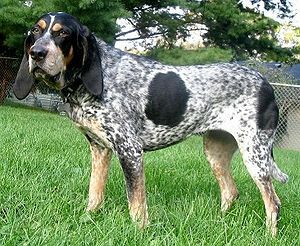 Its ancestry can be traced back to French hounds of the 16th century. 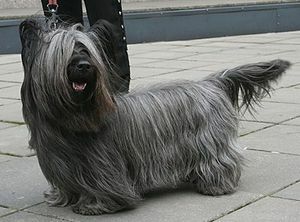 What does the Petit Basset Griffon Vendeen look like? The PBGV is 13-15 inches tall and weighs between 25-40 lbs. Its legs are short and the body is a bit longer than it is tall. Ears are oval, set low and hanging. The tail is help upright. The nose is black. The outercoat is long and rough with a soft undercoat. Colors are grizzle, lemon, orange, sable, black, grey or white and black. Brush weekly and remove hair from ear canals to prevent infection. What is the temperament of the Petit Basset Griffon Vendeen? 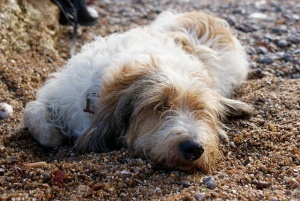 The PBGV is a highly intelligent dog, able to problem solve. They should have early obedience training and socialization, always with positive methods. PBGVs are happy dogs, bringing good cheer with them and always willing and eager to please their humans. They are good with children, but always supervise with youngsters. They get along with other animals but must be socialized early. PBGVs are active dogs, but will be just as happy sitting with you on the couch and can adjust to living in an apartment. When out in the yard, fencing should be secure as they are diggers. They require daily walks, always on leash. Due to their strong prey drive, they will chase anything that moves. What are the uses of the Petit Basset Griffon Vendeen? PBGVs were bred to hunt small game. Today they participate in agility, rally and hunting events. 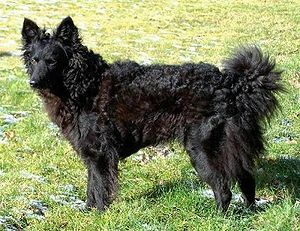 They love to play and make loving, fun companions.